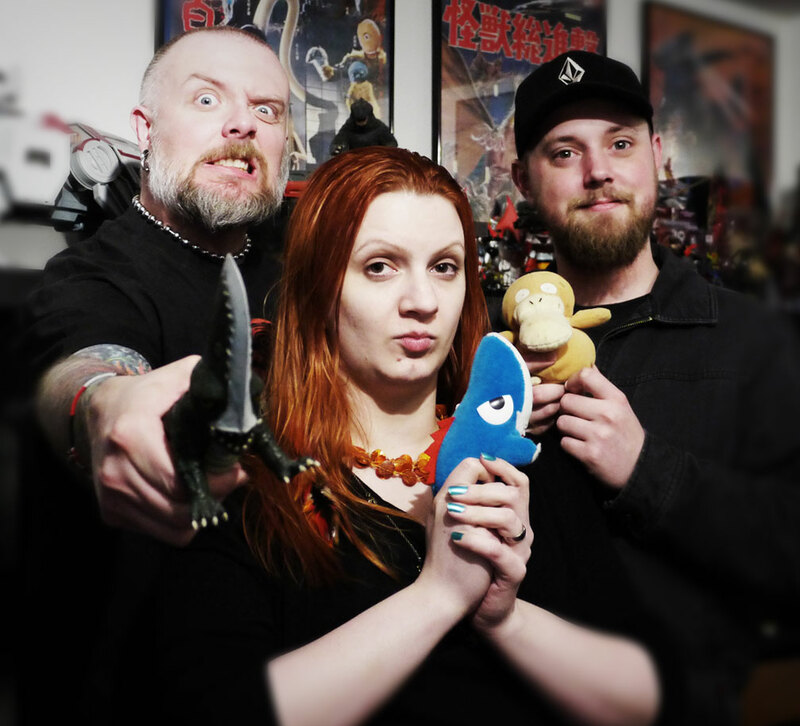 Kyle, Heather & Justin talk about their experience watching the 1969 Daiei kaiju film, Gamera vs. Guiron. Why hello there, loyal listener and potential new recruit! Welcome to the newest installment of the Kaijucast (which just happens to be episode 54). I’ve actually brought you a shorter episode than normal – instead of an hour, the show is only fifty-seven minutes. I know, I know – you feel slighted! I can’t help it, I’ve got a ton of stuff to do here and I really need to get cracking because this weekend is the 10th annual Emerald City Comic Con and I am heading up to the show with Heather, Justin and my special lady for a full-blown weekend of geekery. I’ll talk a little about what I’m doing in Seattle in this episode, but the main reason YOU are here is to hear our thoughts (and possibly yours?) for the 1969 Daiei “kiddie” kaiju film, Gamera vs Guiron! Thanks so much to everyone who sent in their homework and I hope you had a lot of fun watching the film. Big news about April’s movie and upcoming commentary in this episode – make sure you are paying attention because the Kaijucast is celebrating the 50th anniversary of Godzilla’s third film in style next month! 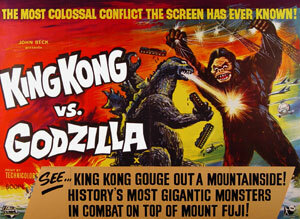 If you live in the Portland area (in Oregon), make sure you block out the evening of April 24th because the Hollywood Theatre will be showing the 1962 kaiju battle royale, King Kong vs. Godzilla, for a special 50th anniversary screening! Not only will the theater host the screening, but I will be standing up to say a few words about this monumental film and providing the Hollywood Theatre with material for their pre-show slideshow. Plus, if that’s not enough, we’ll actually have a brand new commentary available for download a few days before the screening AND I’ve changed the Kaijucast Daikaiju Discussion schedule, so that’s a whole month of giant monster madness focusing on this film! More details to come, but make sure you buy your tickets early because Dan Halsted (Head Programmer/Technical Director for the theater) is pretty sure it’s going to sell out!